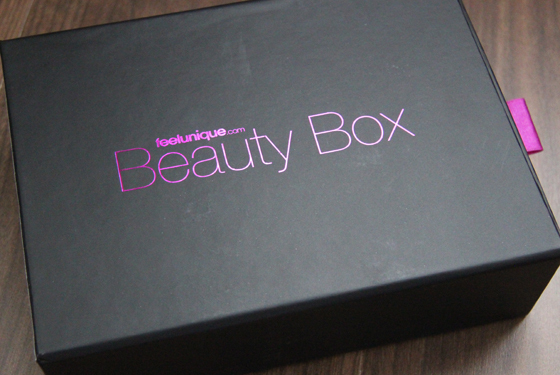 It's time for FeelUnique BeautyBox, I haven't even notice 10 leaving my account, the time pass by way to fast. From now on this is the only box I will receive, as this is my favourite. 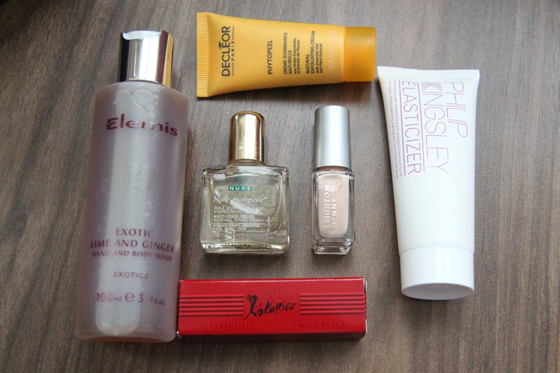 The things in this month box repeat, the Leighton Denny nailpolish was in October GlossyBox, the Nuxe Dry Oil was in September GlossyBox and the Philip Kingsley Elasticizer was in the November GlossyBox. This puts me off a bit, but I'm happy to have another sample of Philip Kingsley Elasticizer as it's so expensive, but does wonders to my hair! I'm really excited about Elemis Hand and Body wash, can't wait to try it out! I like the smell of it, but I think this will be a lot better for summer. The colour of Leighton Denny nailpolish looks really nice in the bottle, but on the nail is almost clear. The Decleor face peel looks very interesting, but I'm scared to use it as I have very bad break out and I don't want to make it even worst. I'm finally going to buy Clarsonic Mia! The one disappointment of this box is Nuxe Dry Oil! 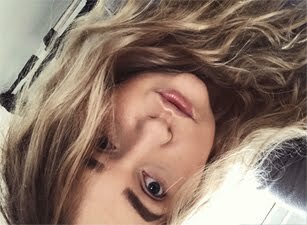 I tried this once on my hair and it's had weight my hair down and made my hair look very greasy. I tried it on my skin, but it's takes forever to absorb into my skin. Overall I do like this box, but I wish the brands wouldn't repeat. So it will be very nice if the BeautyBoxes take more care, I'm aware it's very difficult as there are many Beauty Boxes on the market, it's fine for one product to repeat but not three in one box. how much is this box? 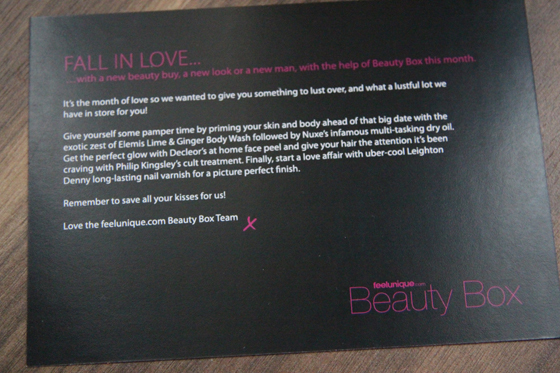 i am currently subscribed to the glossybox but am unsure whether to switch, would you say this is better than the glossybox?